• The first scholarly authorized Catalogue Raisonné of the artist, with comprehensive exhibition details and citations. • Contains some 300 colour illustrations of the artist’s figurative paintings. 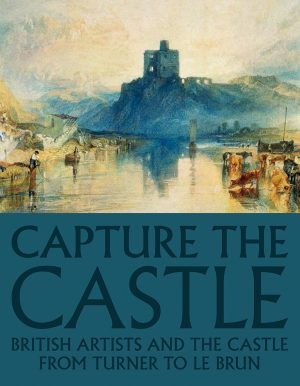 • Will become the standard reference work on Coldstream’s paintings, appealing to museums, exhibition curators, collectors, historians, art students and the generalist alike. • Includes important lost paintings, and clarifies Coldstream’s artistic development from the 1920s until his death in 1987. William Coldstream became one of the significant twentieth-century cultural icons, who influenced generations of art students. Numbered amongst his cycle of distinguished luminaries were W. H. Auden, Stephen Spender, Christopher Isherwood, Louis MacNeice, Benjamin Britten, Sir Kenneth Clark, Adrian Stokes, A J Ayer and Anthony Blunt; as well as many artists and establishment figures whose portraits he painted, including one Prime Minister. However, celebrated Coldstream was to become he revealed a somewhat tormented and anxious mind racked with self-doubt. Was he ever going to be appreciated as an artist, will people understand his painting or will he ever gain control of his personal life? Coldstream liked to compartmentalize his life, and almost certainly none of his artistic friends knew all the facets of his extraordinarily complex, secretive and eccentric life; less so about his painting. Yet, this was in contrast to his outwardly lively, witty and charming public personality. This publication will be the first complete catalogue raisonné and first comprehensive essay to critically scrutinize Coldstream’s entire output, his singular painting method and to clarify his empiricist approach to objective realism, which hitherto has been largely misunderstood by art historians and critics. Each painting is chronologically described in full and accompanied by supportive text to place Coldstream’s figurative painting within a cultural context. About the author Peter T J Rumley is an art historian and archaeologist (specialising in the conservation of historic buildings); having completed his MA and doctorate at the University of Sussex and an MA at The Institute of Archaeology, University College London. He is a Fellow of The Society of Antiquaries of London. A contributing author to the Atlas of Western Art History 1994, co-author of two major Tate Gallery exhibition catalogues, The Paintings of William Coldstream, 1990, and Kenneth Clark: Looking for Civilisation, 2014.